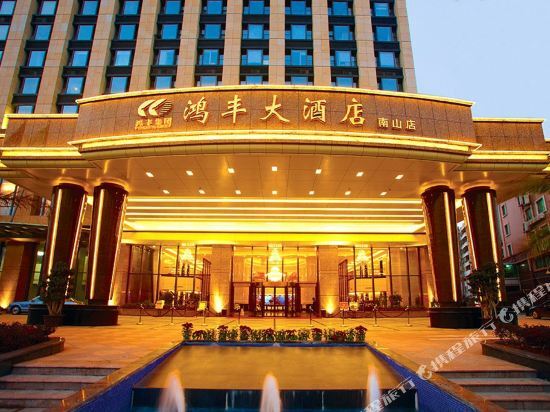 The five-star Shenzhenair International Hotel (Shenzhen Shenhang Guojijiudian) is located within walking distance of the Chegongmiao Metro Station. The city's Overseas Chinese Town and convention center are also just around the corner. <br><br>Guests can select from various rooms, some affording breathtaking views of Shenzhen Bay and Hong Kong. Other rooms command views of downtown Shenzhen. Those on executive floors enjoy a host of privileges including express check-in and checkout services in the executive floor lobby.<br><br>Chinese banquet dishes and Shanghainese home fare come well presented in the Jiangnanchun Restaurant. A romantic multi-level bar decorated in art deco style features red wines, cigars and music. Culinary fans looking for both delicious food and fabulous views can check out the Shenshen Café, which features floor to ceiling windows.<br><br>For guests planning weddings, parties or seminars, there is a 500 sq m (5,382 sq ft) banquet hall with a small VIP room available. These can be employed in conjunction with the hotel's six preset types of wedding banquets or tailor-made wedding services. 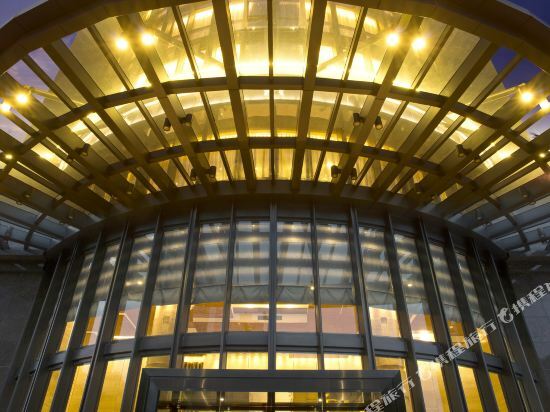 There are also two meeting rooms, one function hall and a large parking lot in this Shenzhen hotel.<br><br>For recreation, guests can relax in the sauna and massage rooms, but for something more invigorating, they might visit the fitness center and heated swimming pool. Guests can also enjoy playing billiards, chess and cards in the game rooms. 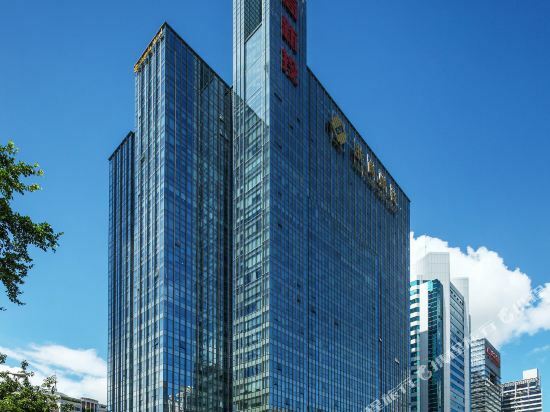 Grand Mercure Oriental Ginza Shenzhen (Shenzhen Dongfang Yinzuo Meijue Jiudian) stands in the heart of the Futian Central Business District, next to the Zhuzilin Metro Station and 20-minutes drive from the Lowu Railway Station and the Shenzhen Bao'an International Airport. A magnificent structure housing contemporary and stylish facilities for accommodation, dining and conferences, the Grand Mercure is the perfect choice for travelers to this dynamic city. With guestrooms and suites, the Grand Mercure provides guests with choices of room categories to suit their preferences including an executive floor for a higher level of service for business travelers, each equipped with modern conveniences including broadband Internet access, in-room safe and an oversized working desk while Suites and Deluxe rooms have full kitchen facilities. Two grand ballrooms and 10 function rooms offer flexibility and an outstanding level of service, backed by experienced staff and a full range of the latest audio-visual equipment. Guests can also maintain their fitness routine at the Oriental Ginza Club. Their recreational facilities include an indoor swimming pool, health & fitness center, table tennis room, sauna centre and Reiki Spa. 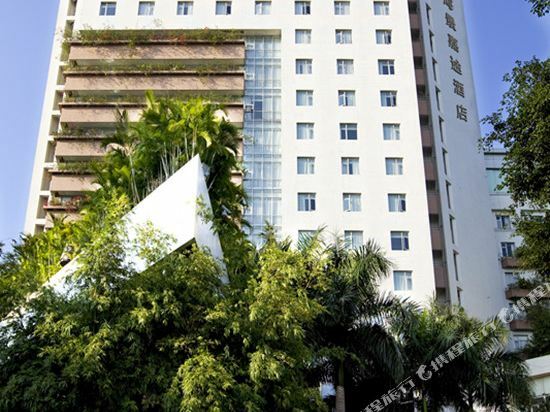 Sentosa Hotel - Feicui branch (Shengtaosha Jiudian Feicui dian) is a five-star hotel conveniently located within walking distance of Taoyuan Station on metro line 1 and just 4.5 km (2.7 mi) from Shenzhen West Railway Station. Free parking and Wi-Fi in public areas are offered to guests of this hotel. On-site restaurants serve Cantonese and Western dishes. A coffee shop and lobby bar provide additional spaces for guests to unwind with a drink or meet up with friends. Those working while in Shenzhen have access to the hotel's fully equipped meeting rooms and business center. A banquet hall is on hand for large social or corporate events. Guests with free time can take a dip in the swimming pool, work out in the gym, play a game of tennis or indulge in spa or massage services. For extra fun, a game room and karaoke facilities are also on the property. 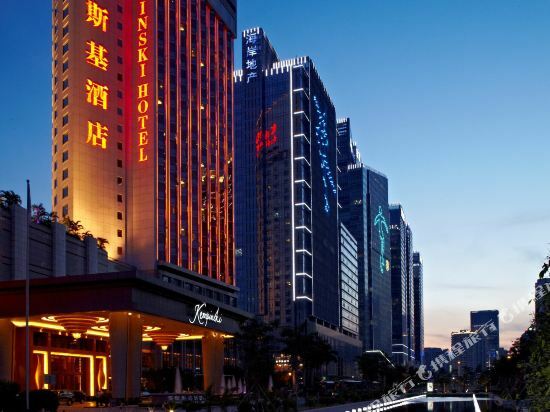 The JW Marriott Shenzhen (Jinmao Shenzhen JW Wanhao Jiudian) is situated conveniently near a metro station, Futian Port, a Guangshen Expressway on-ramp and major scenic spots. Diners can visit several food and beverage outlets for authentic Chinese cuisine, Japanese food and all-day buffets.The coffee bar, Java, offers a variety of drinks and lighter fare, while the The Lounge offers a relaxed, casual atmosphere for both socializing and casual business meetings. Guests have a list of recreational facilities to choose from including a fitness room, outdoor swimming pool, whirlpool, sauna and spa. 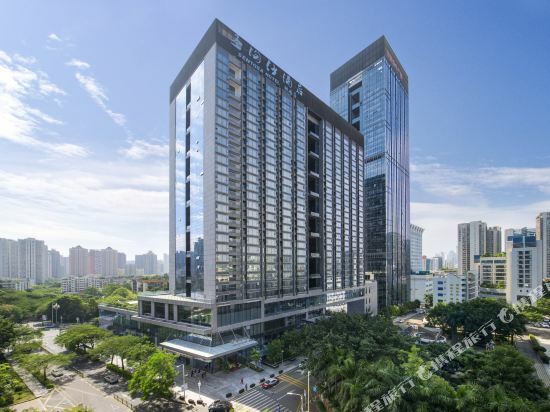 The Venice Raytour Hotel Shenzhen (Shenzhen Weinisi Jiudian) is situated in southwest Shenzhen near the city's trio of top attractions: Window of the World, Splendid China and the China Folk Culture Village. Those traveling by car can reach Shekou Pier, Huanggang Port and Luohu Port in about 15 to 20 minutes. <br><br>This Shenzhen hotel has a fine range of elegantly-furnished guest rooms and suites.<br><br>The hotel restaurants and dining facilities include JK, serving titillating Japanese; Marco's Restaurant serving traditional Chinese from across China by first-class chefs; an Italian restaurant and a coffee shop.<br><br>The Crowne Plaza Shenzhen also caters to business travelers with its 210-seat function hall equipped with a state-of-the-art simultaneous translation system. For larger events, the Venice Ballroom holds up to 800 guests. There is also free parking for those commuting by car. 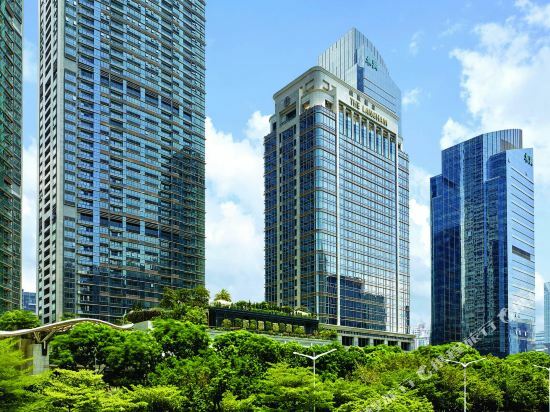 The Langham, Shenzhen (Shenzhen Langting Jiudian) is a five-star hotel located in Futian District and grants guests easy access to local commercial and shopping areas. The Bao'an International Airport roughly a 30-minute drive away.<br><br>Rooms and suites in this deluxe hotel are appointed with Langham signature blissful beds, iron and ironing boards, 46" LCD TVs and mini bars among other amenities.<br><br>Guests can enjoy Cantonese foods in T'ang Court or enjoy international dishes in Silk. For dessert, Treasures & Scent serves a variety chocolate. Tipplers can enjoy cocktails at Gazebo.<br><br>To organize events like gatherings, conferences or board meetings, guests are invited to make full use of five multifunction rooms and the ball rooms available in this deluxe hotel.<br><br>After a day of travel, guests may get pampered in the Langham's signature Chuan Spa. The well-appointed fitness center is a nice venue to burn off calories. 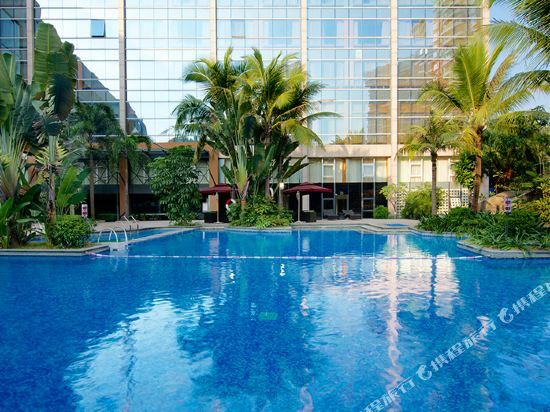 Additionally, there are both indoor and outdoor swimming pools. 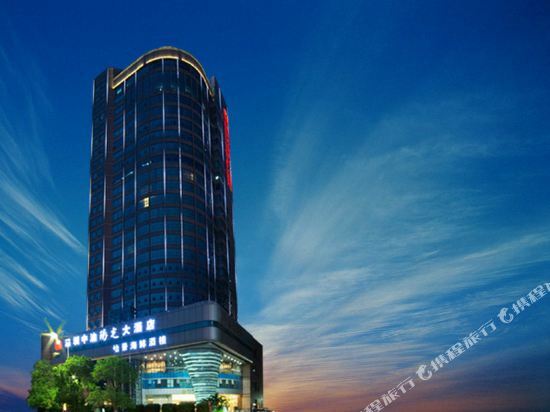 Shenzhen Chanel Palace Hotel (Xiangxieligong Jiudian) is located on Shennan Avenue in the prosperous commercial area within easy reach of Huanggang Port and Exhibition Center. 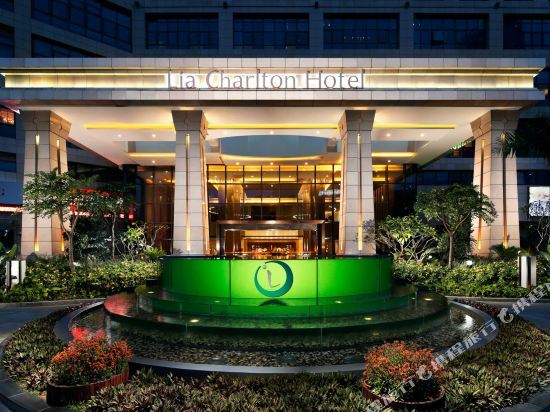 The hotel is located 25-minutes from Shenzhen Railway Station. The hotel features free parking, taxi and ticket booking service and shops in the hotel. Guests can dine in the hotel’s Chinese restaurant. Business guests can take advantage of the hotel’s meeting rooms to host their events. At the end of a long day, guests can enjoy a relaxing massage. 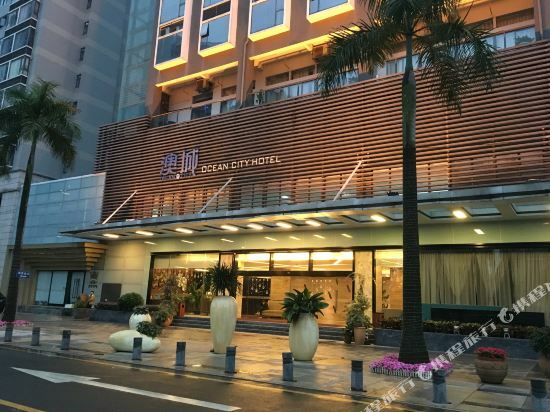 The&nbsp;Ocean&nbsp;City&nbsp;Hotel&nbsp;(Shenzhen&nbsp;Aocheng&nbsp;Huayuan&nbsp;Jiudian)&nbsp;is&nbsp;a&nbsp;short&nbsp;drive&nbsp;from&nbsp;Shekou&nbsp;Wharf,&nbsp;Shenzhen&nbsp;Bay&nbsp;Port&nbsp;and&nbsp;Shenzhen&nbsp;Sea&nbsp;World.&nbsp;Shenzhen&nbsp;West&nbsp;Railway&nbsp;Station&nbsp;is&nbsp;a&nbsp;20-minute&nbsp;drive&nbsp;from&nbsp;the&nbsp;property&nbsp;and&nbsp;the&nbsp;airport&nbsp;is&nbsp;40&nbsp;minutes&nbsp;away. <br> <br>Guests&nbsp;can&nbsp;enjoy&nbsp;both&nbsp;Chinese&nbsp;and&nbsp;Western&nbsp;fare&nbsp;when&nbsp;dining&nbsp;on-site.&nbsp; <br> <br>Function&nbsp;rooms&nbsp;are&nbsp;available&nbsp;for&nbsp;business&nbsp;travelers&nbsp;to&nbsp;host&nbsp;meetings,&nbsp;conferences&nbsp;and&nbsp;other&nbsp;events. <br> <br>Guests&nbsp;at&nbsp;this&nbsp;4-star&nbsp;Shenzhen&nbsp;hotel&nbsp;also&nbsp;enjoy&nbsp;free&nbsp;parking&nbsp;and&nbsp;Wi-Fi&nbsp;access&nbsp;in&nbsp;public&nbsp;areas. 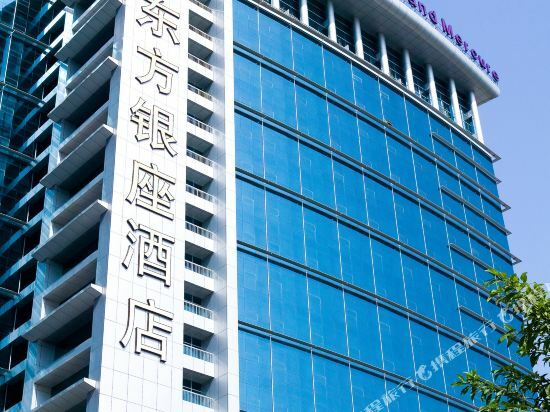 The Hotel Kapok Shenzhen Bay (Shenzhen Wan Mumianhua Jiudian) is situated west of Shenzhen Bay Sports Center, close to the Mangrove Seashore Ecological Park. It's a 5-minute drive to the Shenzhen Bay Port and Coastal City, a large shopping center. A range of room types are available in this Shenzhen hotel including sea-view rooms and presidential suites, all of which are equipped with safes, hair dryers, tea/ coffee makers, mini-bars and refrigerators. One large banquet hall and two function rooms are available for meetings and conferences. A Chinese restaurant serving Cantonese cuisine is located within the hotel. There's also a rooftop garden suitable for parties and gatherings and a bar. A fitness center and facilities for playing chess and cards are also available. 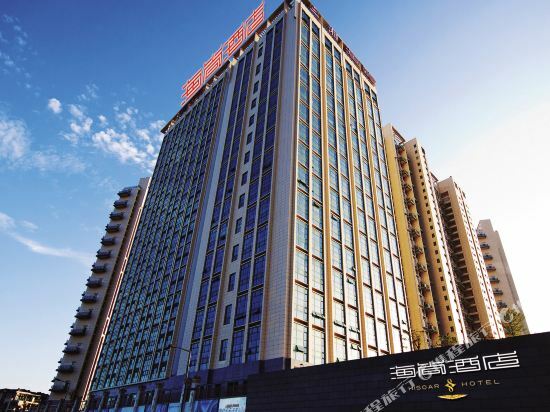 The H Life Hotel Nanshan Branch (Huali Jingpin Yishu Jiudian) is situated in Nanshan District. Shenzhen West Railway Station is approximately 4 km (2 mi) away. Shenzhen Bao'an International Airport is approximately 19 km (12 mi) away. Free Wi-Fi is available in public areas and rooms. The&nbsp;Seaview&nbsp;O'City&nbsp;Hotel&nbsp;Shenzhen&nbsp;(Shenzhen&nbsp;Haijing&nbsp;Aositing&nbsp;Jiudian)&nbsp;faces&nbsp;picturesque&nbsp;Shenzhen&nbsp;Bay&nbsp;and&nbsp;is&nbsp;close&nbsp;to&nbsp;many&nbsp;of&nbsp;Shenzhen's&nbsp;sights,&nbsp;including&nbsp;the&nbsp;Splendid&nbsp;China&nbsp;Folk&nbsp;Culture&nbsp;Village,&nbsp;Happy&nbsp;Valley&nbsp;and&nbsp;Window&nbsp;of&nbsp;the&nbsp;World&nbsp;theme&nbsp;parks.&nbsp;The&nbsp;Seaview&nbsp;is&nbsp;about&nbsp;15&nbsp;to&nbsp;20&nbsp;minutes&nbsp;from&nbsp;Shenzhen&nbsp;Airport,&nbsp;Shenzhen&nbsp;Luohu&nbsp;Railway&nbsp;Station&nbsp;and&nbsp;the&nbsp;ferry&nbsp;pier. <br> <br>All&nbsp;guestrooms&nbsp;and&nbsp;suites&nbsp;feature&nbsp;air&nbsp;conditioning,&nbsp;TVs,&nbsp;international&nbsp;direct-dial&nbsp;telephones&nbsp;and&nbsp;in-room&nbsp;fridges,&nbsp;while&nbsp;many&nbsp;feature&nbsp;ocean-view&nbsp;rooms. <br> <br>Dining&nbsp;options&nbsp;include&nbsp;both&nbsp;Western&nbsp;and&nbsp;Chinese&nbsp;cuisines,&nbsp;served&nbsp;by&nbsp;the&nbsp;European&nbsp;Caf&eacute;&nbsp;and&nbsp;Chinese&nbsp;Restaurant&nbsp;respectively.&nbsp;Chinese&nbsp;options&nbsp;include&nbsp;Chaozhou,&nbsp;Cantonese&nbsp;and&nbsp;spicy&nbsp;Sichuanese&nbsp;dishes. 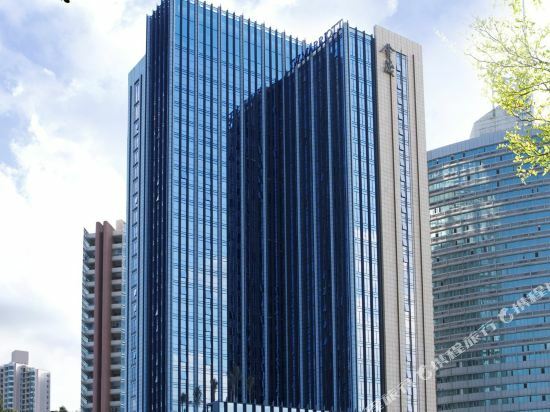 <br> <br>Business&nbsp;travelers&nbsp;to&nbsp;Shenzhen&nbsp;will&nbsp;appreciate&nbsp;the&nbsp;range&nbsp;of&nbsp;meeting&nbsp;rooms&nbsp;and&nbsp;function&nbsp;halls,&nbsp;the&nbsp;largest&nbsp;of&nbsp;which&nbsp;holds&nbsp;up&nbsp;to&nbsp;350. <br> <br>A&nbsp;range&nbsp;of&nbsp;recreational&nbsp;facilities&nbsp;are&nbsp;also&nbsp;available,&nbsp;including&nbsp;a&nbsp;snooker&nbsp;room,&nbsp;a&nbsp;health&nbsp;club,&nbsp;a&nbsp;tennis&nbsp;court&nbsp;and&nbsp;a&nbsp;bowling&nbsp;alley. 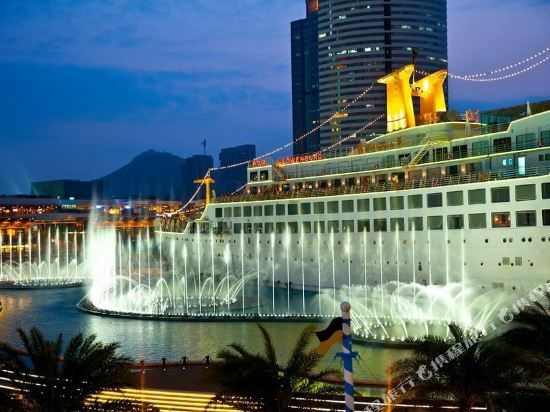 Located in Sea World Park, the Cruise Inn (Honglong Minghualun Jiudian) is only two-minute drive from Shekou Port. This property offers rooms outfitted with standard amenities including mini bars, in-room safes and Internet access. Western cuisine is served in the on-site restaurant. 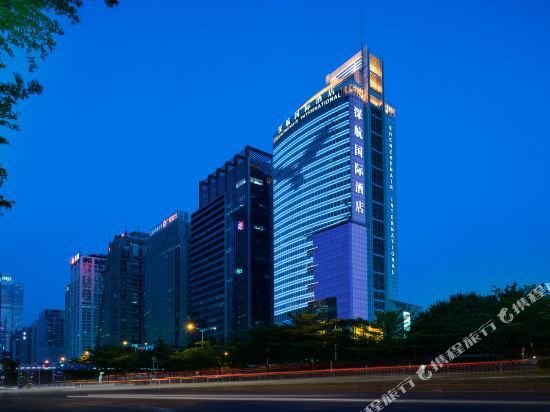 The L'Hermitage Hotel (Lanhemeite Jiudian) is a 5-star hotel within easy reach to Lixiang Park and Shenzhen University. The Shenzhen Bao'an International Airport is 18 km (11 mi) away which is only 15-minutes by car.<br><br>This Shenzhen hotel provides a variety of room amenities including electric kettles, tea/coffee makers, mini bars, iron/ironing boards, hair dryers and safes.<br><br>In terms of dining, guests may choose from Chinese, Western and Japanese foods.<br><br>Business travelers are invited to make full use of variously-sized meeting rooms in this deluxe hotel. A business center is also available.<br><br>When it comes to time to relax, guests may head to the sauna or have drinks in the bar. They may also exercise in the gym. 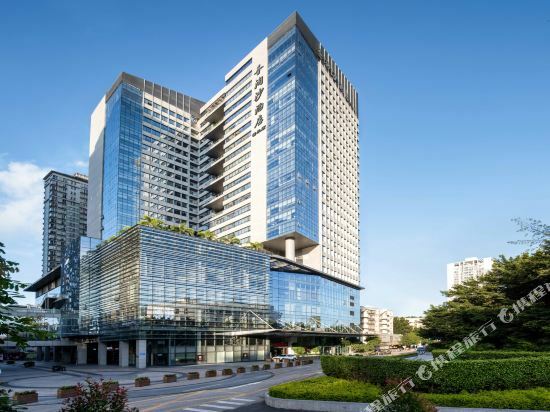 The Kempinski Hotel Shenzhen (Shenzhen Kaibinsiji Jiudian) is conveniently situated in the heart of the Nanshan New Commercial Development Zone of Shenzhen. The hotel is within easy access of Bao'an International Airport and the Shenzhen Bay Bridge provides convenient access to Hong Kong. 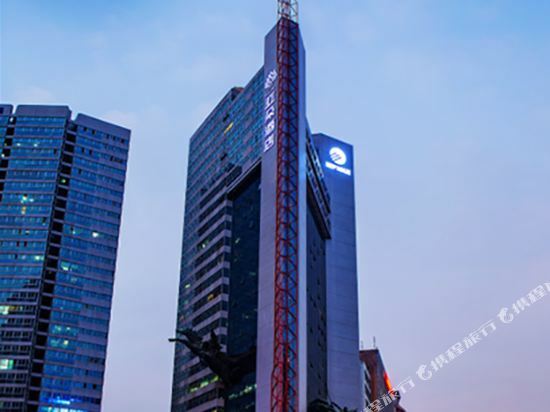 The Shenzhen hotel provides exceptional facilities with luxuriously designed guestrooms and executive floors, all equipped with broadband Internet access and free nationwide direct dial phones. A collection of fine dining outlets and well-appointed meeting rooms and function halls provide guests first rate venues for social and/or business gatherings. An indoor pool, gym, massage parlor and sauna round out the available activities on the grounds. 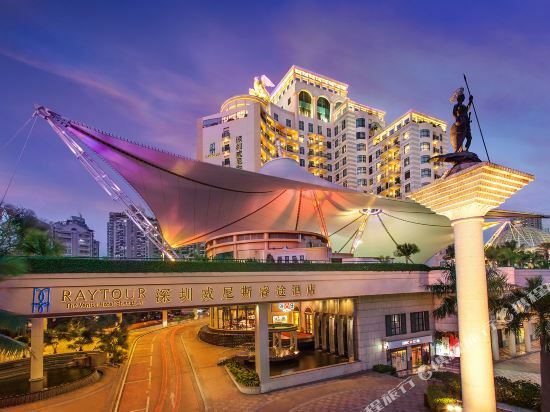 &lt;br/&gt;Grand Soluxe Zhongyou Hotel Shenzhen is a business hotel located in the dynamic heart of Shenzhen, near theme park attractions Windows of the World, Ocean World and Joy Valley. 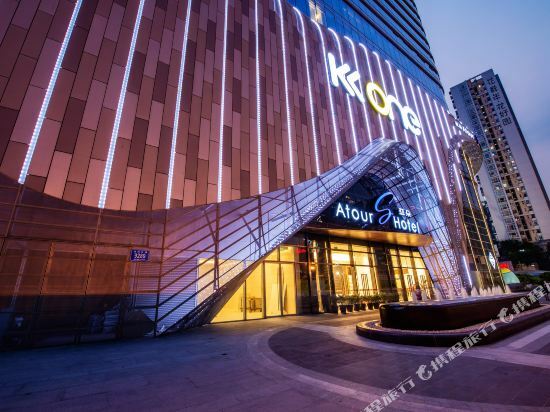 Baoan International Airport and Shekou Port are all within a 30-minute drive of the hotel, and local universities, hospitals and shopping malls are all in easy walking distance. 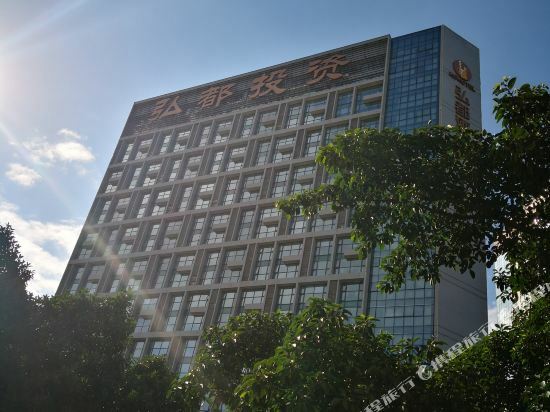 The Hongdu Hotel (Hongdu Jiudian) is located approximately a 20-minute drive from Shenzhen Bao’an International Airprot. 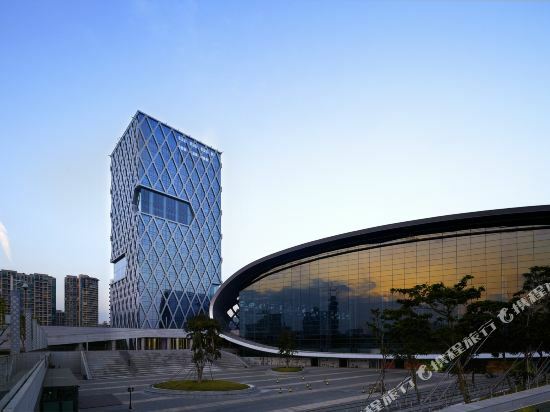 It is only a 15-minute drive to Shekou Sea World (Shekou Haishang Shijie) and Shenzhen Bay Park. Dining options include a Chinese restaurant and a Western restaurant. In their spare time, guests can unwind with a drink in the cafe. Business travelers can take advantage of the meeting room and business center. This Shenzhen hotel provides free Wi-Fi in public areas and rooms and free parking on site. If you want to stay in the best hotel in Shenzhen, China, please come to Trip.com for a custom trip. Staying in exclusive Shenzhen Chinese Folklore Village hotel Trip.com offers, you can fully relax and enjoy the stay in Shenzhen and around Shenzhen. 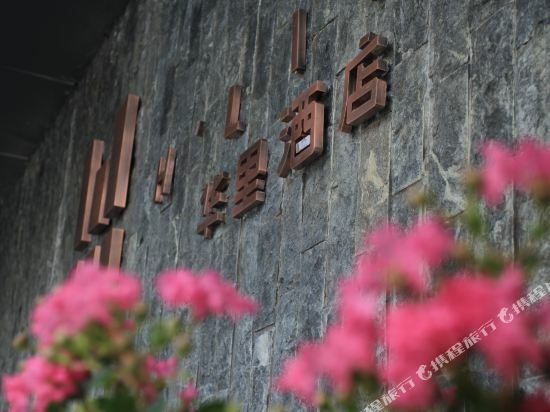 All these Shenzhen Chinese Folklore Village hotels lead in the industry in aspects of environment and recreation facilities, providing the best hotel service in Shenzhen. To ensure that you can find the latest Chinese Folklore Village hotel in Shenzhen, the latest hotel price as well as hotel facilities and indoor facilities information will be offered. In the meantime, detailed photos of Shenzhen Chinese Folklore Village hotel will be displayed, making you know quickly whether hotel’s interior environment meets your taste. Besides, you can know specific location and reviews on Shenzhen Chinese Folklore Village hotel from millions of users. If you want a nice room with limited budget, please filter through price and distance to get an appropriate Shenzhen Chinese Folklore Village hotel. To ensure you can experience the best Shenzhen Chinese Folklore Village hotel, users and we give a comprehensive rating on hotel, which gives useful help. Believe it or not, as the biggest online travel service company, we have the best service assurance and perfect users’ experience to meet your requirements in different aspects, no matter it’s Shenzhen hotel or Shenzhen Chinese Folklore Village hotel. 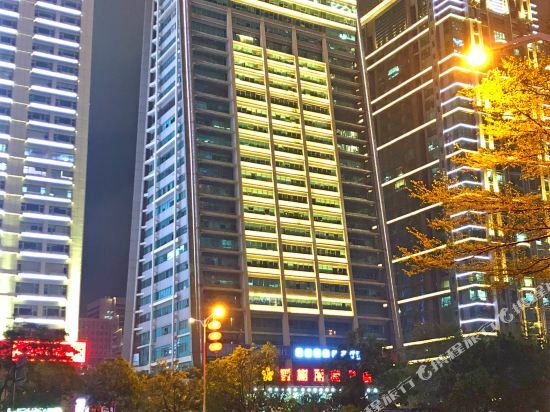 Shenzhen hotel information & deal: Check out room rates, photos, a map and reviews of hotels in Shenzhen and find the best deals on Shenzhen hotels. Trip.com offers big savings on online reservations for Shenzhen accommodation. Book Shenzhen vacation packages and Shenzhen tours with huge discounts on Trip.com!